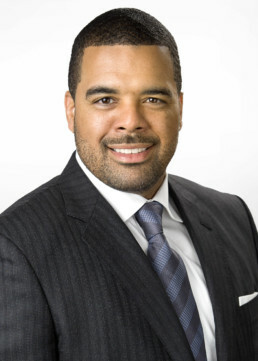 Adisa Bakari is the Principal Founder and Chief Executive Officer of The Sports & Entertainment Group. Mr. Bakari counsels professional athletes with respect to the negotiation of player and marketing contracts, in addition to various other aspects of their athletic and post-athletic careers. He is certified as a Contract Advisor/Agent by the National Football League Players Association and National Basketball Players Association. 2013 Washingtonian Magazine Top Lawyer. Recognized among the “Who’s Who in Washington’s Sports Business Industry” in Washingtonian Magazine. Recognized as the one of the “Top 40 Under 40” in both The National Law Journal and The Network Journal. “The Evolution of Athlete Representation: The Game Has Changed!,” Aspatore Books’ Inside The Minds: Understanding Sports Law, July 1, 2014. 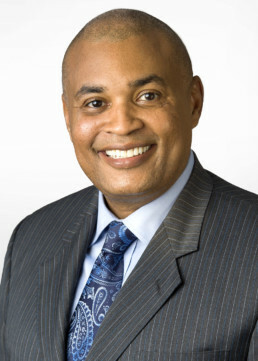 Jeffery Whitney is a Founder and President of The Sports & Entertainment Group. Mr. Whitney counsels professional athletes with respect to the negotiation of player and marketing contracts, in addition to various other aspects of their athletic and post-athletic careers. He is certified as an NFLPA Contract Advisor/Agent. Prior to joining the agency, Mr. Whitney counseled clients on a variety of business matters including real estate, commercial transactions, and labor and employment matters. He also served as Law Clerk to the Honorable U.W Clemon (Ret.) of the United States District Court for the Northern District of Alabama.